With the holidays each year comes increased opportunity for conflict in relationships. Unrealized expectations, margin-less schedules, extended family demands, and a host of other stress-escalating factors conspire to heighten the potential for relational strife. In the spirit of Rom. 12:18, “so far as it depends upon you be at peace,” consider these principles for making it to 2014 without suffering a conflict train wreck. First, check your expectations at the front door of the season. Idealistic notions of the holidays with their feel-good promises often fall short of the realities of dealing with family and friends whose total depravity doesn’t automatically take a break from Thanksgiving to New Years. Remember that everyone you engage could legitimately compete with Paul in 1 Tim. 1:15 for the title “chief of sinners.” While you’re at it, assume that you qualify for the label over and above anyone else at the party and you will go a long way toward enjoying the blessedness of a peacemaker this Christmas (Matt. 5:9). Second, overlook offenses. A lot. 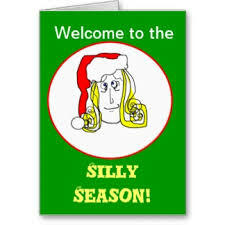 Assume folks will do and say some things during what the recovery movement calls “the silly season” just because so much of the craziness is just that. Exercise more patience than usually required. Proverbs 19:11 counsels, “Good sense makes one slow to anger and it is his glory to overlook an offense.” Overlooking can get overlooked as among the virtues qualifying as glorious. One reason the overlook strategy makes good sense comes into perspective in another wisdom saying in Prov. 17:14. “The beginning of strife is like letting out water, so quit before the quarrel breaks out.” Count the cost doesn’t just apply to financial decisions but relational ones as well. It may not pay to start the battle in the first place, so let it go whenever in good conscience you possibly can. Third, when you can’t overlook for the gravity of an offense, go straight to the person involved – do not talk to someone else about it – and seek to resolve the matter between you and him in private (Matt. 18:15). Treat the person the same way you would want to be treated if the shoe were on the other foot. Let texts like Gal. 6:1-2 dictate your timing, approach, and most of all objective – bearing a fellow-sinner’s burden by helping rescue them from the trespass you believe has ensnared them. Fourth, overcome evil with good through not returning the same. Rather, determine to heap coals of love on a head when you get the chance (Rom. 12:17-21). The holidays typically bring us into close quarter contact with folks, including relatives, with whom we might otherwise prefer not to associate. Make conversation. Ask questions. Serve quietly. Don’t just look out for your own interests but even those of your obnoxious cousin (Phil. 2:3-4). If we are to walk as people of peace during the stress of the holidays, we must first begin by remembering the greatness of God and all that he has done for us in Christ. Then we can move on to how we are to live in light of these truths. If we try to skip the first step and move to the changing of our behavior, we will probably end up frustrated both by our own failures as well as the fallenness of those around us. Our only hope is in God—he justifies us, redeems us, delivers us from our shame, and conforms us to Christ (Romans 8:29). Such a God! Such a Savior! This is the Jesus whose birth we celebrate during this Christmas holiday season. May the Prince of Peace fill you with the spirit of peace for the making of real peace in the face of your holiday conflict, if and when you eventually tangle with it.